A kitchen is considered the heart of the house. It’s one of the main reasons why it is the highest demands when it comes to interior remodeling projects. With such significant investment, homeowners cannot simply afford to make any errors. 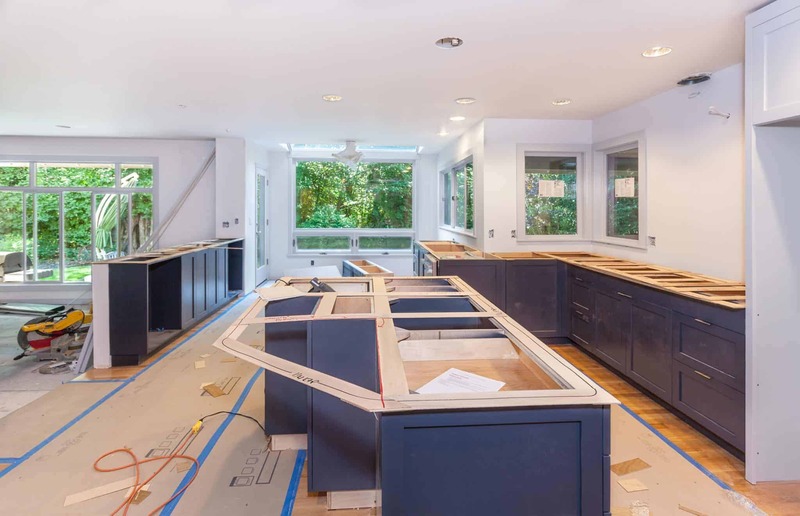 Before you hire a contractor here are 5 common mistakes we always run into when remodeling a kitchen and how to avoid them. When it comes to remodeling any projects, always be prepared to overestimate the time that was initially set out to be. Materials arrived received cracks or missing pieces can add an extra week to the project. An experienced contractor should provide you a list of things you should be prepared for in case something happens. Get used to eating outside of the kitchen for several weeks as some of the kitchen utilities will be unavailable. We recommend building a temporary station outside of the kitchen and buy deposable plates and utensils to save you from washing up. Before leaving for the day, contractors like to leave things organized to help them get started in the morning. With homeowners continually coming in and out, moving things around could set back contractors from doing their job because they can’t find their tools. Don’t be that person! Unfortunately, these issues still happen. No matter what the circumstances are, you should never pay for the entire project until the job is completed. We recommend you to do your research thoroughly to ensure you get the best contractor who is experienced and knowledgeable in your town. You should always feel comfortable with the contractor before you sign the paperwork. As well as keeping your house maintained and easily accessible for contractors, ordering the materials ahead of time will allow the project to run smoothly. There’s nothing more frustrating for homeowners than seeing a half-empty kitchen! Also, make sure the measurements are accurate to avoid any misaligned disaster. We understand that budget is very important to homeowners, but buying cheap materials won’t last and could cost you more in the long run. If you are unsure about how to budget your kitchen project, give our design consultants a call, and we will provide you with the best solutions to get you prepared.